Perhaps it’s time we introduce this stream? Back in the day after we have completed our Form 3 PMR examinations, we had to make a choice on which education stream we’d like to get into in order to pave the way for our tertiary education. There were the arts, science, commerce, or vocational and TVET (technical and vocational education and training) streams. Well, it seems that the times have changed since we last donned our uniforms as the future generation may have new options when it comes to picking their streams post-Form 3. The Communications and Multimedia Minister Gobind Singh Deo said that he is proposing a technology stream in schools in order to cater to the “growing demands” of the digital world. “Students should be given exposure to technology-based education as early as possible,” he was further quoted as saying. The minister then added that he will discuss this proposal with current Education Minister, Dr. Maszlee Malik. 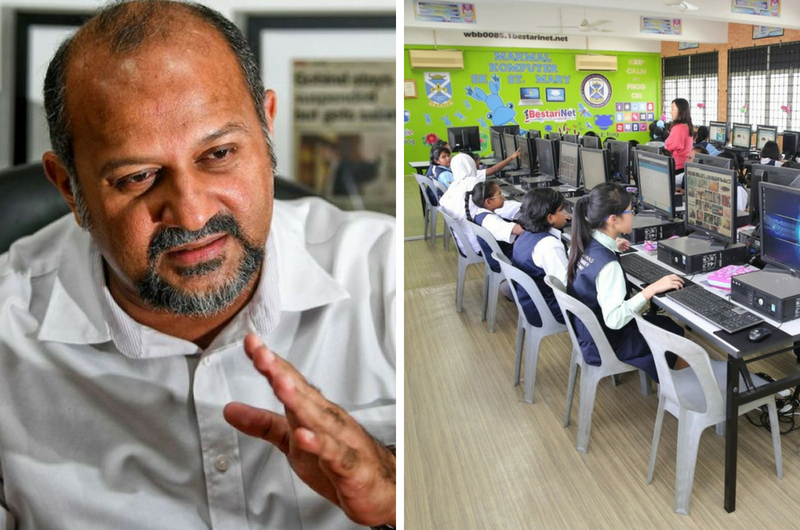 Since this generation is highly exposed to computers, smartphones, the internet, and other digital devices at a very young age, Gobind said it is important that the government recognise talents in the technology field so that they can nurture and develop their skills further. “We need to talk to them on how to use these facilities, beyond just using them as a play tool," he said, adding that teaching students beyond the basics will also inspire them to be more creative. If only this stream was introduced 10 years ago, confirm our SPM results straight A's.